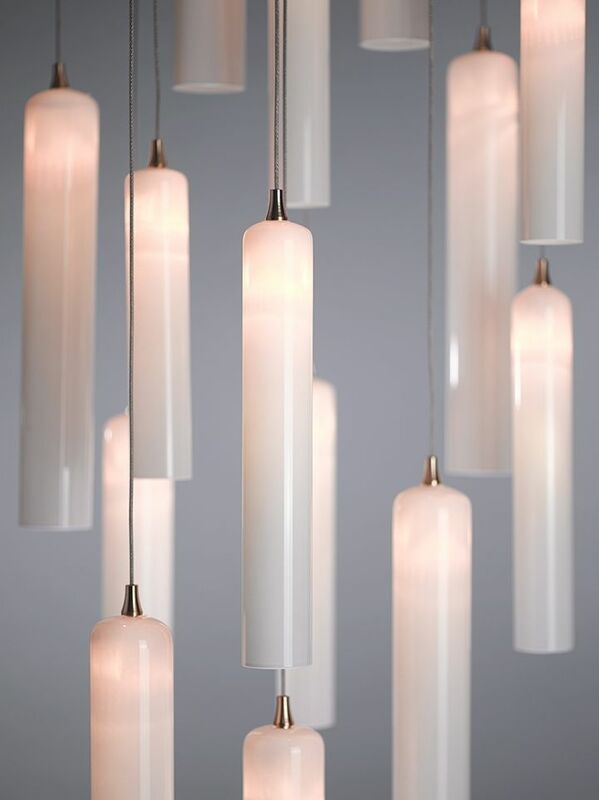 Luminescent candle like glass tubes climb vertically in staggered formation. Antique Bronze, Dark Brown,Matte Silver, Matte Black, Matte White. Additional finishes are available for an up charge. 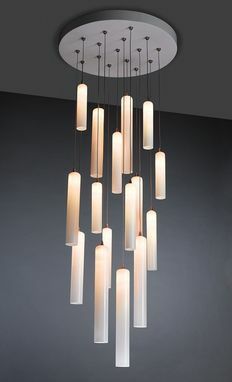 Each pendant is attached to a bulb socket with a brass or silver decorative bolt assembly. We can hang individual pendants all at the same height, or in a staggered formation, depending on your preference. Generally our chandeliers consist of 16 – 24 pieces, with a canopy sized to accommodate the pendants and shaped to fit your space. 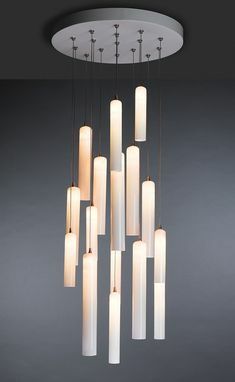 For the clustered look generally these chandeliers consist of either 7,14,19 or 24 pieces, with a canopy sized to accommodate the pendants and shaped to fit your space. As our items are hand-made, sizes are approximate. Variations in size, color, shape and texture (including but not limited to fissures, bubbles, crackling, and crazing in the glass) are inherent to all of our glass.